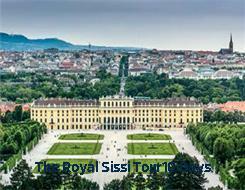 While taking in the sights of 3 amazing countries, learn more about the remarkable life of the empress, Elizabeth “Sissi” of Bavaria. The story of Sissi has been filmed in 1955 and tells the remarkable life of queen Elizabeth. And if you need one more countries on your bucket list, don`t miss out our optional tours to Lichtenstein and France. Airport Pick-up and transfer to Hotel. In the afternoon, enjoy a guided walking tour through Vienna. Overnight in Vienna. 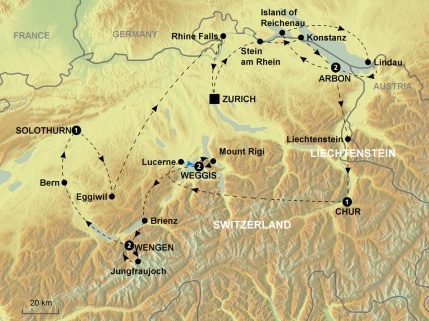 Overnight in the region of Montreux "
Leaving your hotel for a scenic drive from Thun to Berne. Enjoy a walking city tour of Berne. After lunch, be transferred to the picturesque village of Gruyère - home of the famous Swiss Gruyère cheese. Walk through the village and visit the Gruyère castle (entrance fee payable on spot). Additional excursion to the chocolate factory “Maison Callier” in Broc (see extra costs “Good to know”). Late afternoon transfer to Montreux. Overnight in the region of Montreux.